So Blogger has been giving us fits for the last few days, making blogging next-to-impossible. If you happened upon our blog yesterday at just the right time, you may have seen three of the exact same post, up for your reading pleasure. =) They appear to have it working again since I was able to actually post something moments ago, so I thought I’d let everyone know that we have a couple of spots come available this month: specifically November 14th and 27th. Of course, we never like to hear that one of our customers is having to deal with sickness or a death in the family, but our customers are always happy to hear that it’s okay to reschedule and we understand that the unforeseen is bound to happen from time to time. So, if you’ve been putting off calling us or have been discouraged due to our busy schedule, now is your chance to get on our photo calendar! 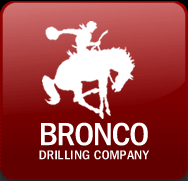 Bronco Drilling seems to be a really cool, up-and-coming business. They just moved into a new building just about a mile South of us on May Ave. and they’re buying out the entire building in the next couple of months to expand their offices. Just walking in and meeting the two people I saw, I was impressed with the enthusiasm and excitement that seemed to be there in the office. It’s great to work with progressive and forward-thinking companies that are taking care of business and their own employees so that even an outsider can tell when they walk in. Keep us in mind if you have a Christmas party or other event coming up and if you could use some good photos of the event.